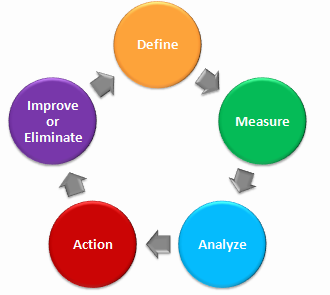 In our last blog, we spoke about performance metric measurement for a start-up. Now let’s talk about another important aspect of success measurement i.e. metrics to measure team performance. Complete performance appraisal – A performance appraisal is the most common and accepted metric of team and employee performance. The standard procedure followed by organisations is to decide with the employee on the goals of the employee for the particular appraisal cycle, generally one year. These goals are then reviewed quarterly/half yearly and, of course, annually. When reviewed at a broader level, these appraisals reflect the performance of your start-up as a whole. Within a performance appraisal exercise, different techniques are used to make the process more empirical & scientific. 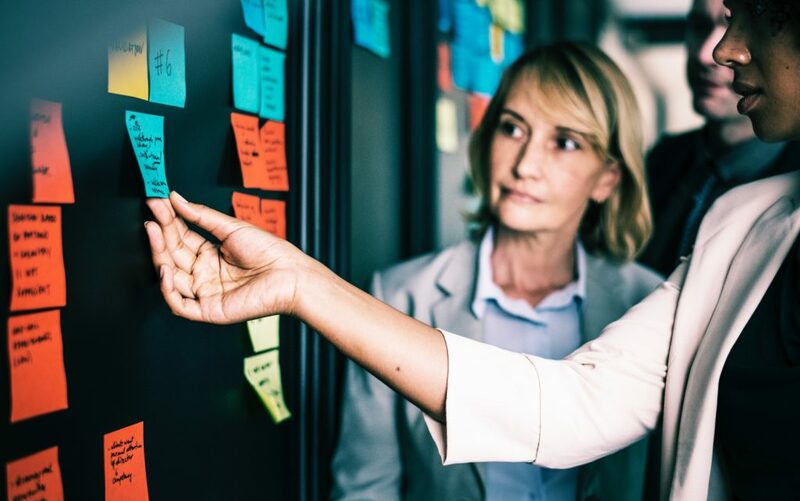 Management by Objectives (MBO) – Linking the organisation’s performances to the team and individual performances is a trusted way of measuring performance. Human resource thought leaders believe that by cascading the objectives of the organisation to a very granular level – down to employee or team level gives results. For example, if your start-up aims to gain 100 new customers during the month across its five verticals and the telecom vertical is given an aim of 20. So the East India sales team would have a target of finalising, let’s say, 4 new customers. If all the sales teams of all the verticals achieve their target, the organisation’s objective is achieved. Management by objectives can set tangible parameters of good performance, be it in terms of productivity, accuracy, quality or any other relevant metric. These tangible goals and subsequently the data driven appraisals make team performance measurement more meaningful & result-oriented. Number of sales – As mentioned in the MBO example, number of sales is a basic parameter that is used for performance appraisal. This is possible in simple businesses where the point of sales conversion can be identified versus bigger firms with multiple departments. An employee with superior skill can return with more sales during a given period from the same location, as compared to a less efficient employee. Number of units produced – Another measure of employee productivity is the volume of production. It is an easy metric in traditional manufacturing organisations where quantitative output is the key to success. This metric can be used even if your start-up is a service provider, albeit with customised variations in the measurement. For example, how many lines of code are the programmers writing per hour or how many news the reporters are generating? Task handled/disposed– For employees who are not involved in production or sales, it can be difficult to quantify their productivity. Therefore, for all other operational staff, productivity can be measured in terms of tasks or assignments that they have successfully handled. The productivity of an in-house service desk team can be measured by the number of service requests they disposed of during their appraisal period. Appraisal by the manager –Often the line manager of the employee is the best person to comment upon the quality of the employee and his or her work. A good employee is often an impressive combination of potential and performance. As long as the employee is performing well in terms of quality and demonstrates the ability to perform at a higher level too, the organisation can keep promoting such employees to deliver value higher up the ladder. Even an employee with limited potential but consistent quality in performance stand to be appraised positively by the seniors. Measuring accuracy & timeliness – While productivity talks about the importance of production volume, accuracy in the work done is also equally important, if not more. The definition of accuracy differs from business to business. In a manufacturing concern, accuracy would be the errors committed during the production process. If an employee makes few mistakes his or her performance would be rated highly. For example, if the normal error committed in the production process of an organisation on an average is 1 in every 1000 item produced, the errors committed by an employee will be compared against the normal error ratio. Of course, production volume of the employee will still be important, but someone cannot expect appreciation simply by producing more if his or her production leads to a lot of mistakes and reworks. This performance metric is of no consequence in industries where there is zero-tolerance on error. So, someone working in the Air Traffic Control room cannot afford to boast that he or she committed “only” one error during his appraisal cycle! It is obvious that the accuracy in a person’s work comes from his or her efficiency. An efficient employee is likely to give a more quality output and even give good volume. Such employees are able to give the desired production value and make the best use of the available resources, which could be time, money, materials, manpower etc. If the employee is efficient, he or she will be able to maximize the productivity with as less effort or expense as possible. In order to measure the accuracy and efficiency in an employee’s work, the organisation must have a documented record of the work entrusted to employee, record of work delivered by the employee and an assessment of the work done. The rating of the employee on efficiency and accuracy parameter will depend on the timeliness and accuracy of the employee’s work and the expenditure incurred to get the work done. Apart from designing a framework to monitor the productivity, efficiency and quality of employees, an organisation can take the help of various performance measuring tools and parameters that can help in the assessment of the employees. Taking feedbacks – Another way of measuring the performance is through feedbacks. 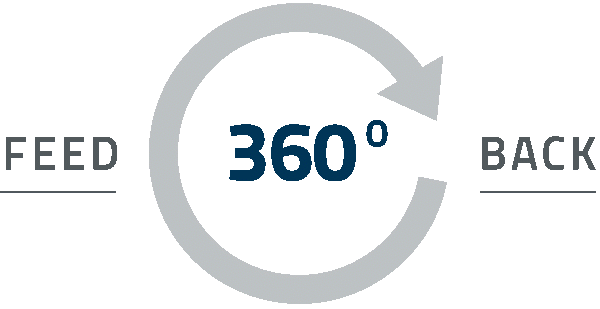 The 360 degree mechanism asks for feedback of an employee from managers as well as peers, customers and related stakeholders. A derivative of this mechanism is the 180 degree feedback wherein the manager and the direct peers of the employee give a feedback on the employee. Vitality Curve – This is another metric of measuring team performance, wherein the manager of a department ranks the employees under him by arranging them from best to worst. This simple technique is known by a variety of names like “forced ranking”, “forced distribution”, “rank and yank” etc. It has been criticised for being a Darwinian unscientific way of judging employees and that it cannot be based on any empirical evidence. Attendance – A very elementary metric to consider while evaluating an employee is his or her attendance records. Employees in any industry can face a tough test in performance appraisal if his or her attendance record is poor and absenteeism is prominent. Organisations track it through automated time and attendance tools which instantly highlight cases of late entry and early exits to and from office as well as employees who tend to take frequent days off. This data also probes the bigger question of employee motivation in the workplace, as bad attendance record is often a sign of low motivation. Teamwork – While employees are expected to go the extra mile to help out clients or ensure desired production, it is also important to find out how much are employees willing to help out each other. Employees often don’t realise that outsiders perceive the company as one entity and it is in the interest of the company that employees help out each other to ensure uninterrupted flow of supply or service. If an employee is focussed only on his or her own deliverable but is not bothered to help colleaguesin free time, his or her appraisal can take a beating. Initiatives – Organisations nowadays, encourage employees to demonstrate their skills beyond their regular work. The regular work, or Business As Usual (BAU) as it is commonly termed, is something that employees are expected to do anyway. It is their additional initiative that differentiates the exceptional employees from the regular employees. By showing more initiative an employee can highlight his or her hidden potential and move up the hierarchy in the organisation. By designing their man management philosophy based on key performance metrics a start-up can construct a solid platform to evaluate its employees. This can help them to make sure that the laudable aspects of an employee’s performance are promptly identified and recognised and the improvement areas are addressed upon.